John Brady, a former political prisoner and recent ‘internee’, died by hanging at Strand Road PSNI barracks after being arrested the previous day. The PSNI claimed he had been found dead in an interview room. Sinn Fein expressed concern that Mr Brady death took place in a busy police station during daylight hours. MP Pat Doherty said it was vital that there was “a full and open investigation”. Eirigi called for an independent inquiry “given the history of RUC and PSNI holding centres in the north”. 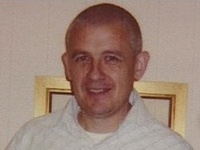 The forty-year-old man was the subject of a long campaign to secure his freedom after he was returned to Maghaberry prison in 2003. He was on weekend leave prior to his full release when he was arrested. Mr Brady’s sister, Lorna, said she wanted to know exactly what happened. “I campaigned for justice for John when he was alive and I’m willing to campaign in his death, she said. Mr Brady was originally imprisoned in 1991 following an IRA attack in which a member of the RUC (now PSNI) died. He was released under the 1998 Good Friday Agreement but was returned to prison in November 2003 on the order of the then British Direct Ruler Paul Murphy. Mr Brady was the victim of a selective internment policy which has seen a number of republicans have their release licence revoked. His lawyer is now to ask the new PSNI chief Matt Baggott to investigate whether he was approached to become a Special Branch informer in the hours before his death. “We have asked the chief constable to clarify whether Mr Brady was visited in his cell at any time during his incarceration by anyone other than routine custody officers,” solicitor Kevin Winters said. A post mortem, due to be carried out today but already postponed, is expected to determine how the Strabane man died. The ‘Free John Brady Campaign’ website said his death was “mysterious”. “Serious questions have been raised due to the fact that John had a consultation with his solicitor and was in good spirits less than one hour before he was reported dead,” it said. His mother, Margaret, said that she was “devastated” at his death and said that her son was a lifelong republican who “knew the dangers he faced” but added that “his war was over”. “John should have been out in five weeks,” she said. “John’s done 18 years inside and I’ve waited for this day, the day he would be released for good, but he’ll never be released now.